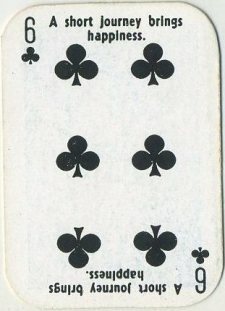 Each card measures 1-1/4" X 1-3/4". 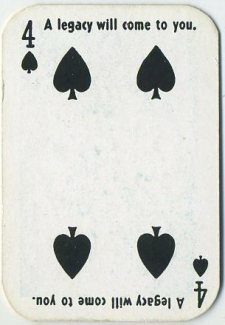 52 card set, issued out of Great Britain. 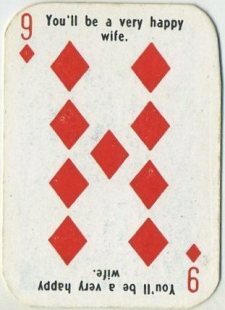 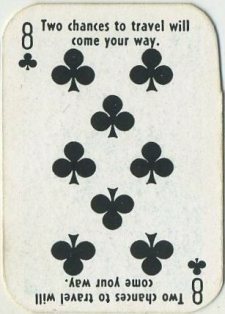 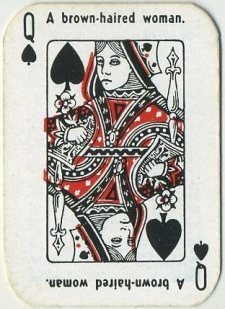 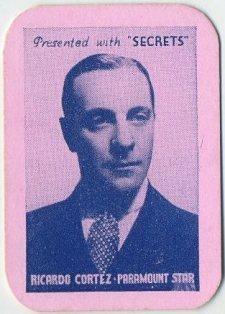 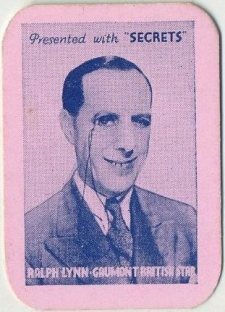 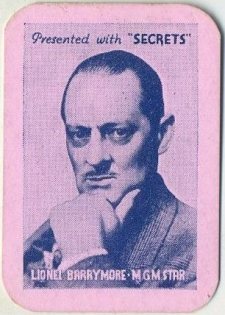 Issued in 1935 out of England as a promotion of Secrets Magazine, this set of 52 tiny trading cards have playing card backs. 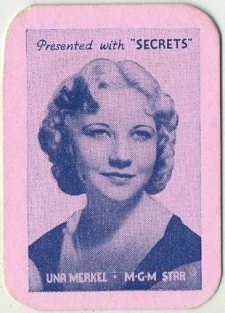 I received mine inside the wrapper shown to the right. 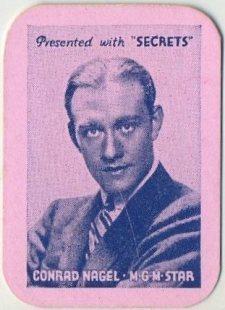 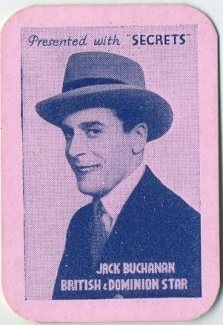 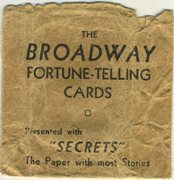 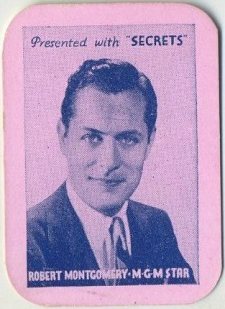 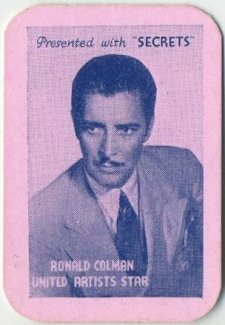 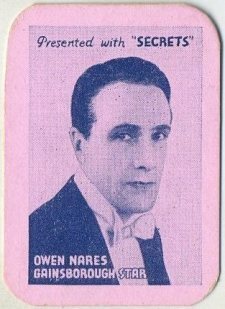 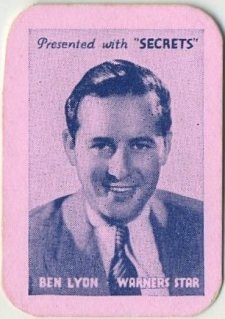 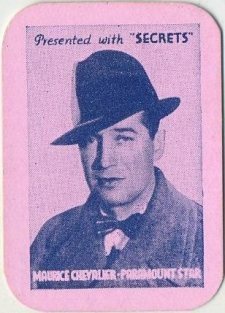 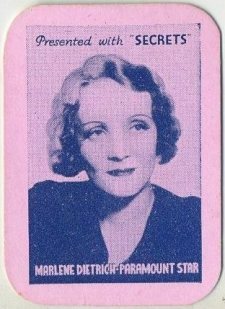 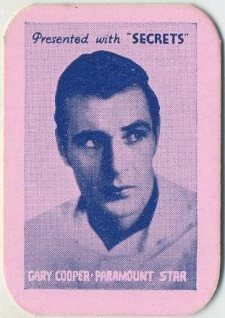 While referring to Secrets Magazine it seems to title the set Broadway Fortune-Telling Cards--these seem to be better described as Film Star Playing Cards, so I'm not sure if the set is just poorly named or if I received mine inside the wrong wrapper. 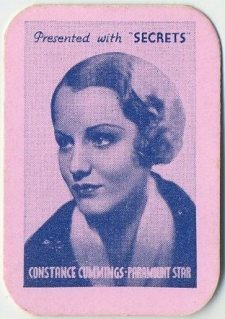 A nice mix of movie stars in this set both from the United States and Great Britain. 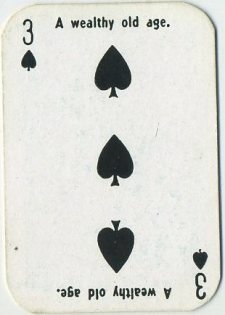 All 52 cards are shown below plus the reverse side of each as well. 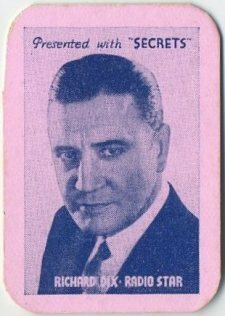 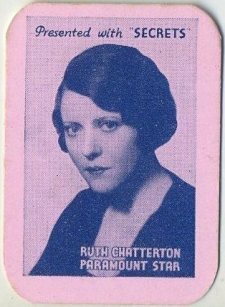 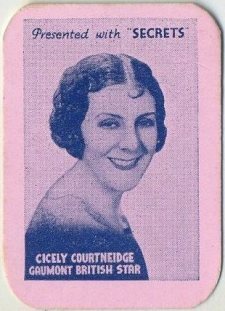 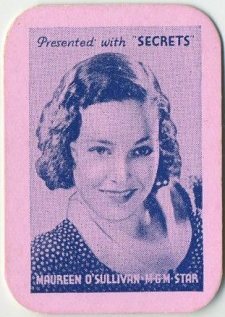 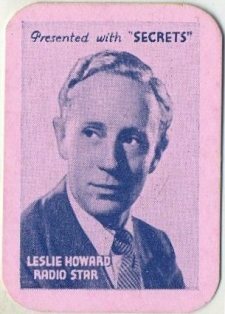 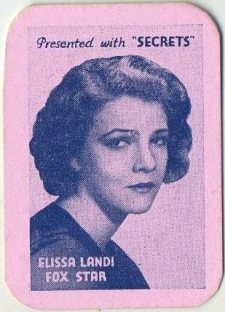 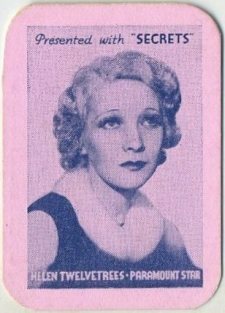 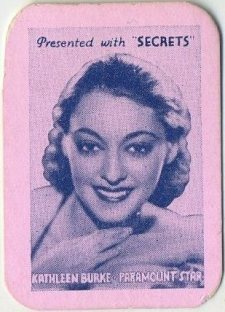 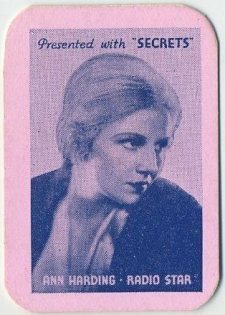 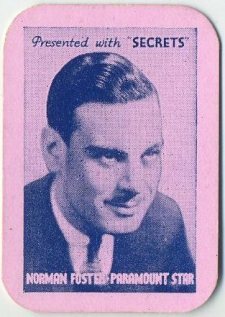 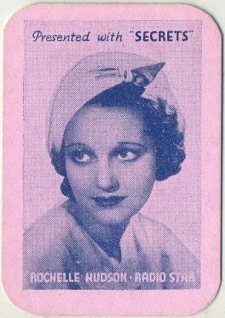 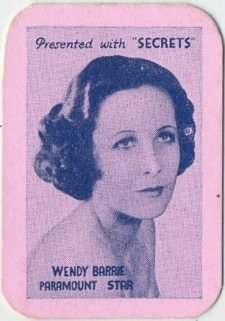 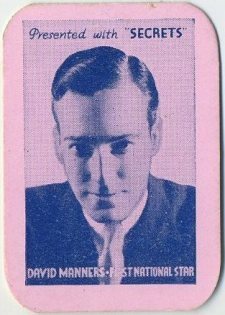 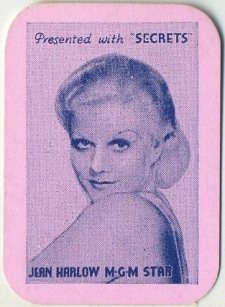 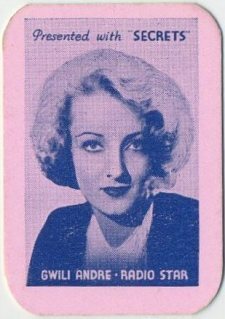 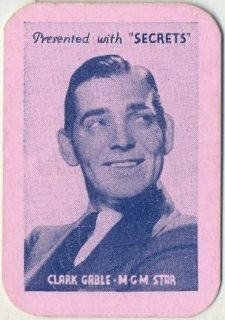 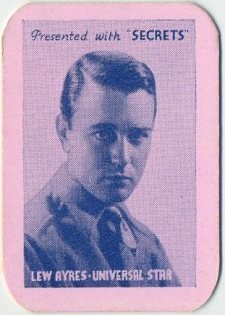 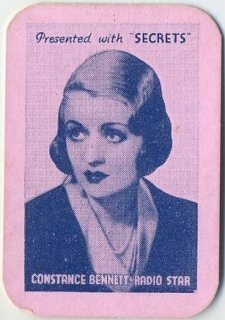 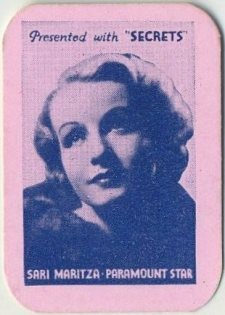 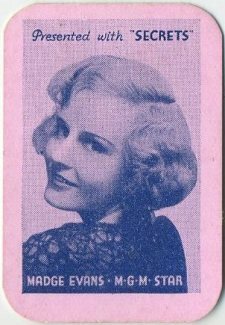 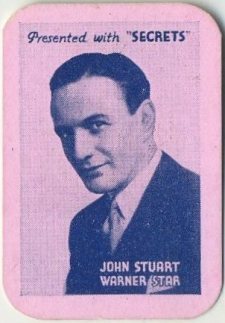 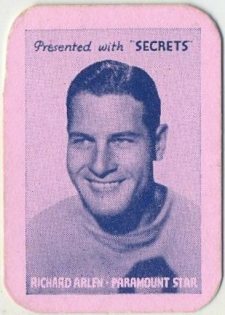 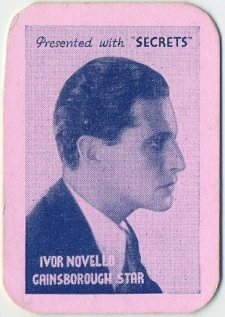 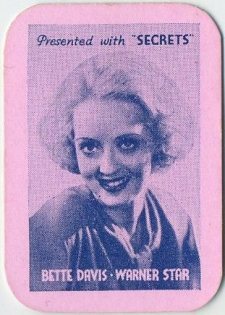 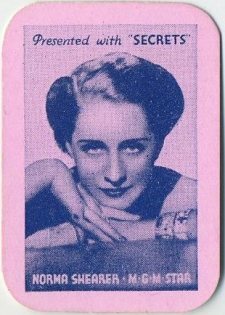 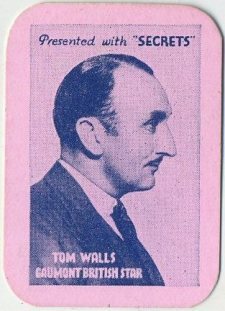 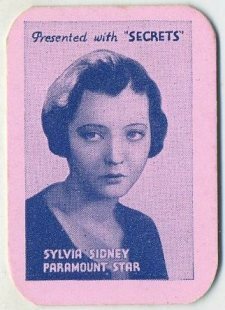 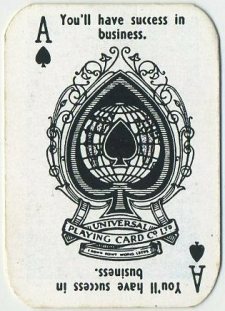 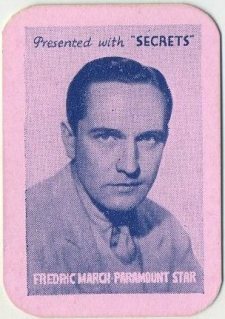 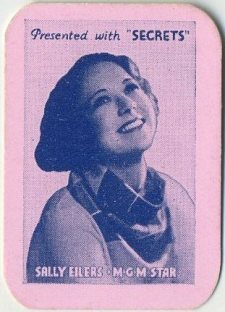 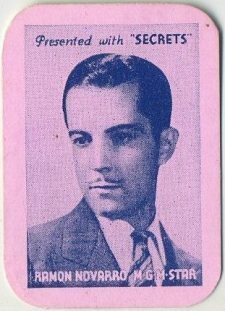 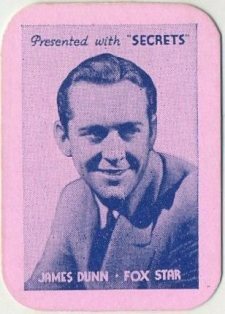 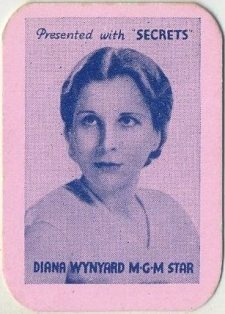 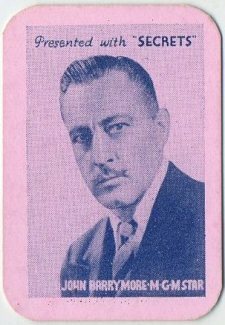 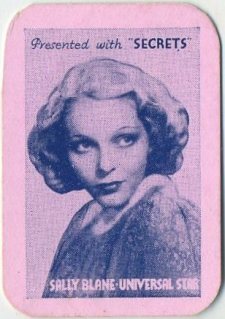 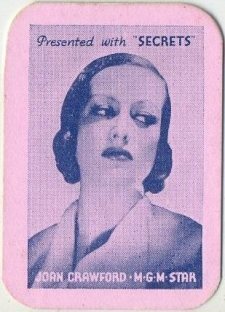 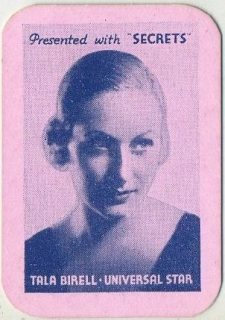 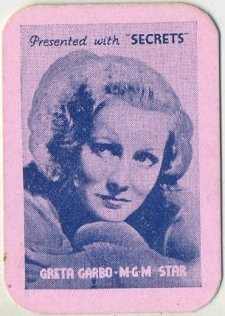 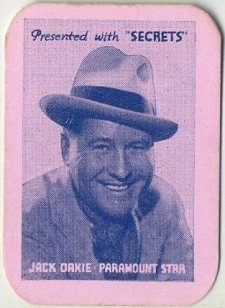 The following gallery includes images of the front and back of all 52 cards from the 1935 Secrets Magazine set of Movie Star Mini Playing Cards. 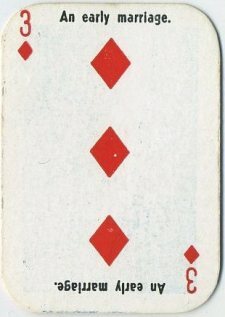 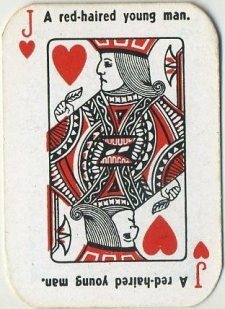 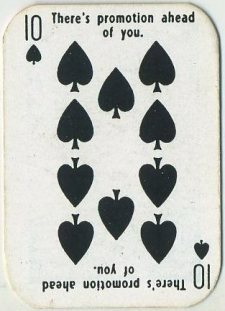 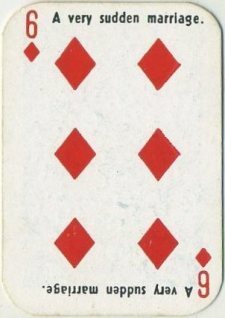 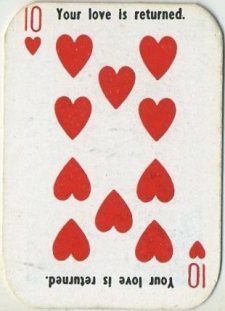 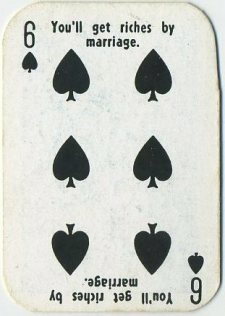 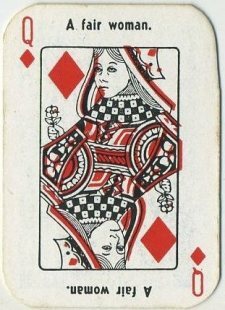 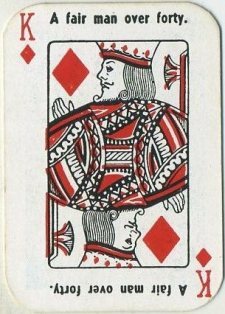 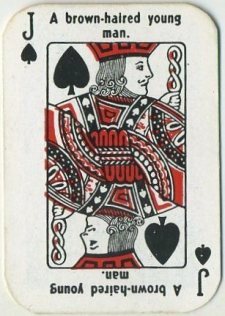 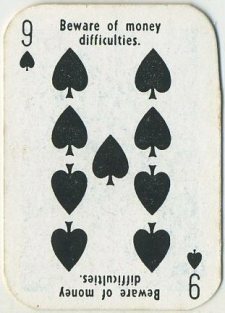 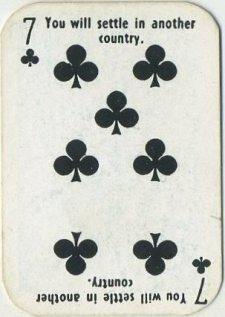 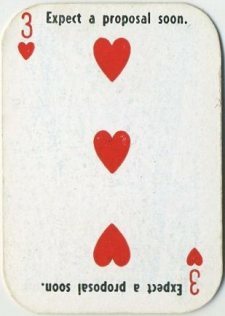 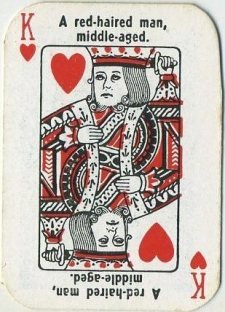 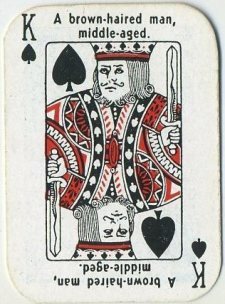 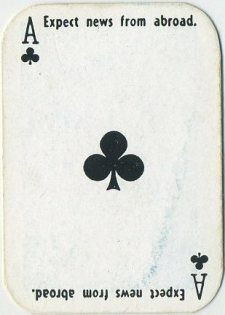 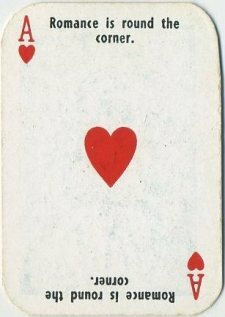 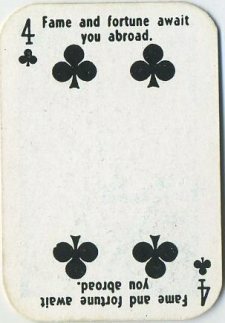 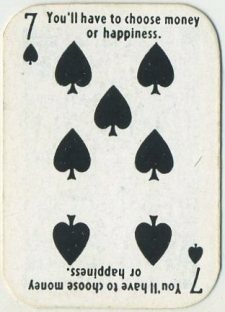 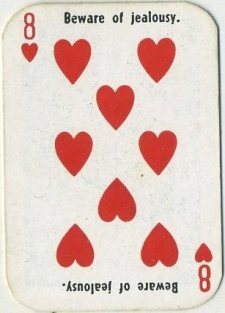 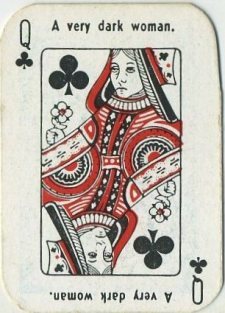 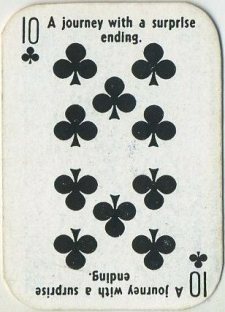 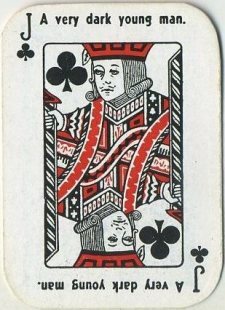 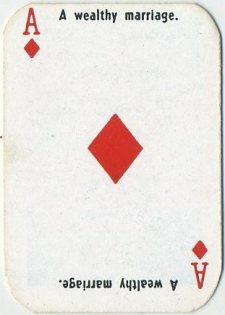 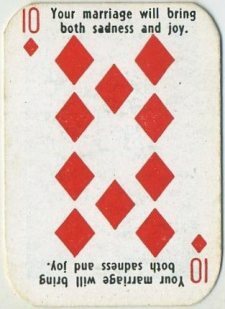 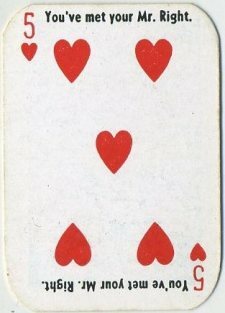 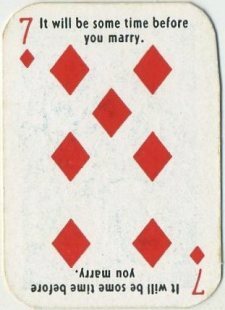 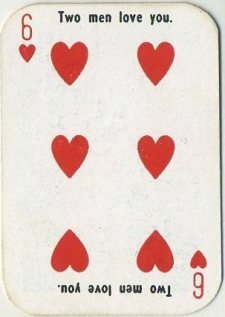 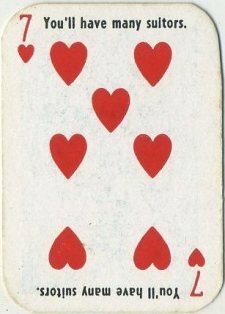 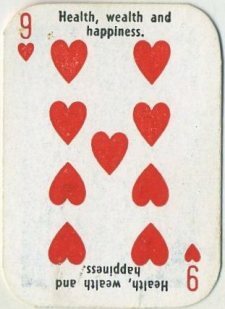 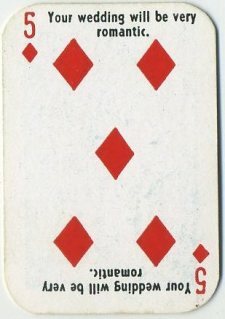 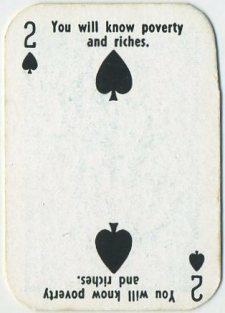 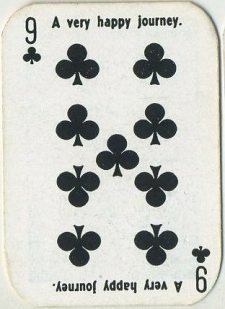 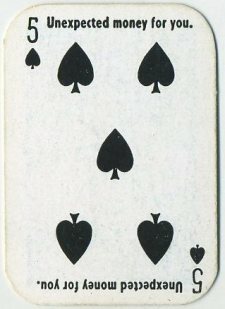 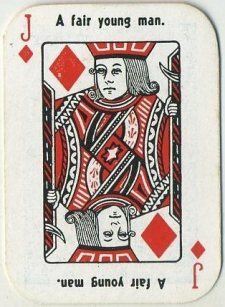 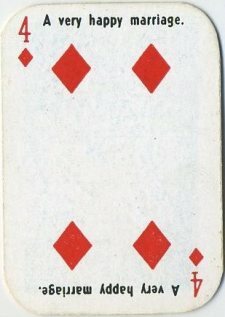 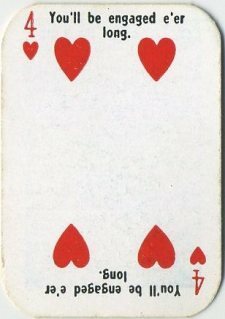 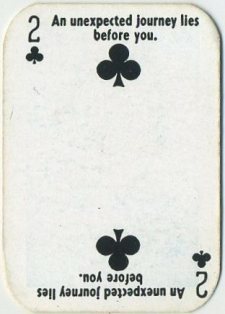 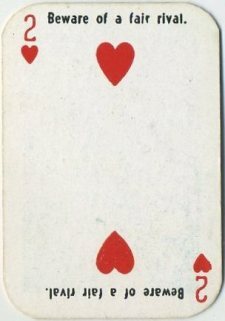 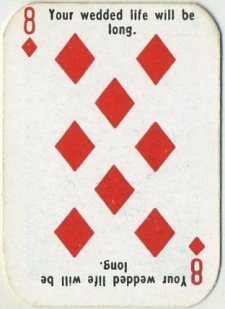 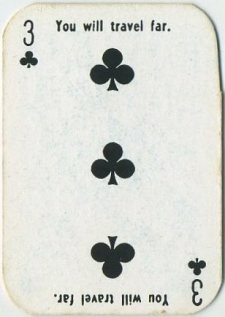 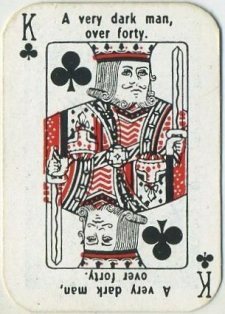 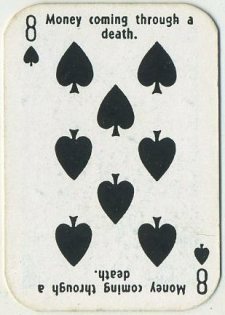 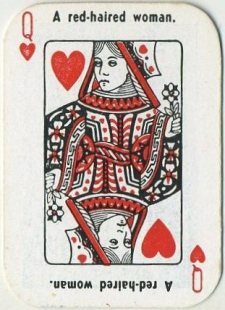 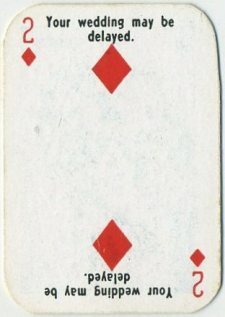 The cards are arranged by suit: Clubs, Diamonds, Hearts, Spades, with the reverse of each card shown immediately after the front.